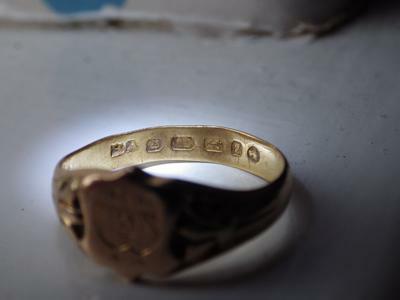 I am having difficulty determining the font and hence the date that corresponds to the date mark on this signet ring. Can anyone help? 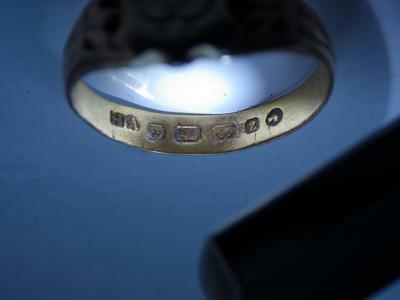 I am assuming its 22 ct but that isn't very clear. 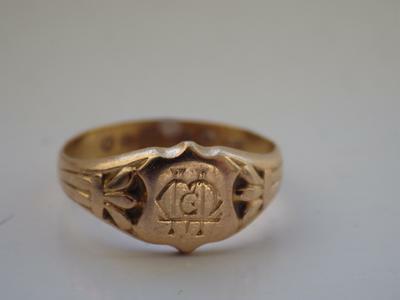 Also any opinion about the monogram would be appreciated, a bit off topic that. Many Thanks.